If you are looking to buy the best Air Rifles, then you would be amazed at the different types of air rifles available in the market and hence we’ve come up with this article to provide you with ample information about Air rifles and a comprehensive guide to buy the best Air Rifle. An Air Rifle is a type of gun that comes with considerably lower amount of power when compared to a pistol or other type of guns. Usually these air rifles are used for recreational shooting and also for sports activities like pop-can punching and target shooting. These Air rifles doesn’t use any kind of chemical reaction to propel the projectiles, but only rely on the compressed gas that are mechanically pressurized to launch the projectiles. One of the main benefits of Air Rifle Shooting is that it provides you a chance to spend quality time with your friends and family for outdoor activities. When you practice shooting for some time, you are providing some exercise for your eyes and hence your eyesight will be largely improved. If you are thinking whether you can get killed by an air rifle, click here to find out. 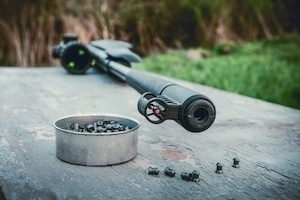 When it comes to buying Air Rifles, there are around 5 different types of Air Rifles including Pneumatic Air guns, PCP, Spring-Piston, CO2 and Gas Ram Air guns. Pneumatic air guns launch the projectiles using a pump action to release the compressed air while shooting each projectile. They come in single stroke and multi-stroke variants, where the single stroke offers lesser power and precision, whereas the latter provides lots of power based on the shooter’s requirements. A Pre-Charged Pneumatic (PCP) air gun generates more power and precision than a normal pneumatic air gun. The main difference between the pneumatic and the PCP is the size of the area where compressed air is stored. In PCP air guns, the area is much larger and can hold up to a maximum of 3000 psi and these air guns are mostly filled with compressed air using an external source like a hand pump. Benjamin Armada, Benjamin Marauder and Benjamin Discovery are good choices of PCP air guns. The spring piston uses the traditional way of propelling projectiles as a spring is used to push the piston forward and launch the charge of air into the barrel. This method is much more consistent than other methods and also very powerful. Below are some examples of the best spring piston air guns in the market today. Be sure to check out our reviews. As the name suggests, these air guns are powered using CO2 gas cylinders and are very easy and comfortable to use. These kind of air guns are mostly used in shooting competitions. All you need is a gas cylinder and you can immediately fill the gun with the needed gas for a certain number of shots and keep the gun cocked for a long time until the gas runs out. Also, called as Gas Spring and gas piston guns, these guns use a gas spring instead of a mechanical spring generally provide higher precision and lot of power. An example of this would be the raptor whisper air rifle. Check out the reviews here. These type of air guns are powered using the nitro piston technology and are very suitable for all type of weathers, making it very suitable for outdoor hunting. Check out our review on Crosman CFRNP17SX if you are looking for this type of airguns. The important factor that you need to understand is what type of air rifle you may require. 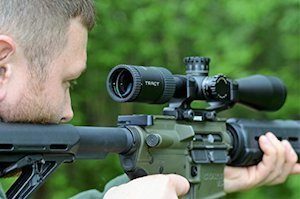 Since rifles are broadly classified based on the source of power, you need to choose whether you need a pneumatic, CO2, PCP, spring-piston or a gas spring air gun. If you are looking for a cheaper air rifle on a smaller budget, then you can go for the CO2 air gun, as these are good for beginner level shooting and doesn’t generate much power. And if you are looking for some powerful shots, then you can settle for the gas spring rifles. The muzzle energy is the power generated when the pellets gets launched out of the gun. The larger the force the more successful you will be in completing your hunting session. But if you are just going to use your gun for plinking, then you don’t require much of precision and speed. Hence it largely depends on the purpose of how you will be using your gun. Accuracy is another important factor, if you are buying an air rifle for participating in competitions. Regardless of the skill level of the shooter, the accuracy levels of the gun is much more important as a gun with higher velocity will have a much better accuracy. 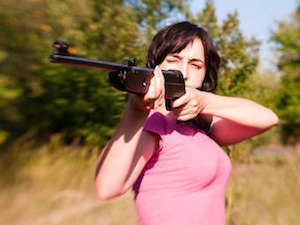 For more information on how to shoot an air rifle accurately, click here. While buying your air rifle, make sure you buy a rifle that makes lesser noise as some air rifles tend to make a lot of noise which could be disgusting. Safety is another important factor and look for trigger safety features in your air rifle. This prevents anyone from accidentally firing the pellets. Air Rifles are available in many of your local stores and you can even order from many online websites. But if you are looking for the Best Air Rifles along with other accessories, then you can check out some of the places provided below that offers top notch rifles at reasonable prices. Alternatively, you can also check out our detailed reviews on the best air rifle in the market today.